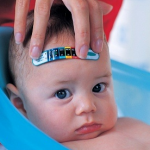 Can I Use Adult AED Pads on a Child or Infant? I received a question via email about using an adult AED on a pediatric patient if there were no pediatric AED pads available. The quick answer? Yes, you can. Remember, many newer AED’s are now attenuated and will usually give as much electricity as needed to accomplish de-fibrillation. If at all possible, use an AED with pediatric pads and place them correctly on the chest and back of the pediatric patient. If no pediatric pads are available, place the adult size AED pads on the front center of chest and in the middle of the child’s back approximately between the shoulder blades to ensure most effective de-fibrillation even with adult AED. In the end, when a person is suffering sudden cardiac arrest, the majority of the time, they are in a some form of de-fibrillatable rythm and an AED is of great benefit, even if the size of the pads don’t match. Ages for the child ranges between 1-8 or first signs of puberty, after that, treat as an adult and if under 1 year of age, treat as an infant. 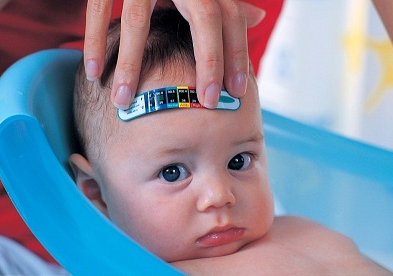 There’s some question as to the effectiveness of de-fibrillation in infants under 1 year. See the above links for more details regarding this subject. 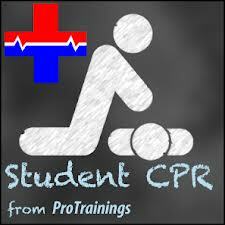 Should CPR and AED’s Be Required In Schools? Every couple of minutes, someone suffers sudden cardiac arrest. 95% of these victims are dead before they make it to the Emergency Room doors. In North Carolina, the Governor is trying to change that statistic. She’s signed a bill that requires all highschoolers to be CPR trained prior to receiving their diploma. Is it a good or bad idea and why do you feel the way you do? Keep in mind that ProTrainings.com has already implemented a program that offers CPR training and certification to all high school students for FREE! ProTrainings.com and the StudentsTrainFree.com program reported that over 3000 high schoolers this year alone have already been trained and certified. If you know of any school desiring to implement a similar program, please contact ProTrainings.com and ask for the Student CPR department. I just recently had a question that isn’t really within my expertise as a paramedic, but ironically ranks high with me because it’s so common with people who use inhaled steroids or take antibiotics. You guessed it Thrush. 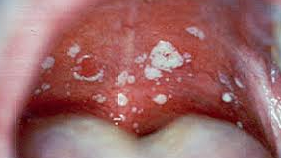 Thrush is the more common name for a more technical problem called Candida or Yeast infection on the tongue. It’s painful, it’s unsightly and it’s a pain in the neck. Oh sure, you can get medicine from the physician for it, but it was probably a visit to the physician and their prescription for antibiotics or an inhaled steroid that go this nice little complication. Not because you wouldn’t want to go back to the doctor for their help, it’s just that you may not want a piggyback bill. So, one of the readers emailed in a question regarding their 82 year old relative that has inhalers and developed “Thrush”. They asked if there were any home remedies that might help heal this without a prescription. I gave my advice below. 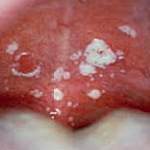 Thrush has got to rank as one of the most aggravating and painful side effects I’ve encountered when dealing with something as sensitive as the tongue. It’s unfortunate that some of the life saving medications like inhaled steroids can cause this frustrating and painful complication. I agree with you regarding the spacer. I think it’s wise not only for getting more of the medication off the back of the patients tongue but also getting more of the medication into the patients lungs where we really want it to go anyway. I’ve found that spacers become one of those important items that are not used due to the terrible cost. I’ve encountered prices close to $100 just for the spacer. Crazy! Anyway…regarding natural remedies for thrush(Candida). There is a lot of natural ideas but of course none of them have been tested in a non-bias lab or do they carry the FDA approval. I also want to re-instate that I’m a licensed paramedic and not a licensed homeopathic expert. That being said, there’s at least three of my own family members that struggle with thrush or yeast complications from time to time and I’ve found a couple of ideas pretty useful. The first would be liquid Acidophilus with Bulgaricus and Bifidus. This is usually located in health food stores and would be located in the refrigerator section. I personally believe that this keeps the cultures alive longer and therefore more effective. The flavors are nothing to report to the press about but it tastes a little better than good old fashioned organic plain yogurt. We like strawberry or blueberry. I have the kids take a tablespoon or two several times per day and then again just before bed time. I make sure that they do it after they brush and drink so that they will leave the film coating in their mouth. This usually heals the condition within a couple of days and begins showing relief sometimes as early as 24 hours just from my experience. Secondly, though I’ve known about the benefits of virgin, non processed coconut oil for health purposes, I’ve only recently heard about it’s ability to promote a healthy immune system and it’s natural properties(caprylic acid) for anti fungal assistance. This tropical oil can be melted over vegetables, spread on toast instead of butter or mixed into smoothies where you really don’t notice much of it at all. Because coconut oil melts at around room temperature, a 98.6 degree mouth melts the oil quite quickly. Just a quarter or half a teaspoon melted in the mouth might be an aid to help get rid of the thrush/yeast and give some soothing relief to your sweet relative. Again, I’m no expert in this area and nothing I’ve said is meant to be a prescription or a diagnosis, but I have used the Acidophilus before with great results. Regarding the Tea Tree Oil, I’ve read several sources that voice some health concerns when using tea tree oil in or outside the body. I would take a look at this website (LiveStrong.com) and then do your own study. Then if you are still planning on using it, I would consult your relatives physician prior to administering any of the oil. Best wishes in your quest to find a home remedy that’s effective and safe. I hope that what I’ve shared with you will help in some way. How Can A Child Do CPR? In this episode of RoyOnRescue, Roy get’s asked the best way to have a child do CPR on a person who is larger then them. Other than a bit of bad videography while Roy’s on the fly…I think it will help answer a question many people have about the best way that a small person can help someone in cardiac arrest. Knitting Needles can be the source of warm mittens, cozy scarves and comforting winter sweaters. They can also become sharp pointed weapons or injury causing spikes when fallen upon or when they are thrust into the face, neck, chest or abdomen due to a car accident or accidentally falling onto them. In this RoyOnRescue episode, we take a look at the hidden danger of sharp pointed objects that usually remain harmless but when not respected and carried safely, they could cause great harm. Learn about the dangers of pointed objects and how to keep knitting needles a source of pleasure not pain. 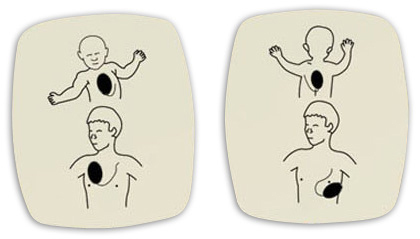 Infant Choking, Back Slaps or Chest Thrusts? Ever wonder what to do if an infant began choking next to you? Ever wonder if one procedure was more effective than another? Well, one of our students did and emailed me a question about his topic. In this video blog entry I open up the discussion about back slaps and chest thrusts, what they do, and how they work to help a choking victim. Then at the end, I give you the secret about which one is more effective. Enjoy! Accepted 22 November 1999. published online 17 August 2004. In a previous case report a standard chest compression successfully removed a foreign body from the airway after the Heimlich manoeuvre had failed. Based on this case, standard chest compressions and Heimlich manoeuvres were performed by emergency physicians on 12 unselected cadavers with a simulated complete airway obstruction in a randomised crossover design. The mean peak airway pressure was significantly lower with abdominal thrusts compared to chest compressions, 26.4±19.8 cmH2O versus 40.8±16.4 cmH2O, respectively (P=0.005, 95% confidence interval for the mean difference 5.3–23.4 cmH2O). Standard chest compressions therefore have the potential of being more effective than the Heimlich manoeuvre for the management of complete airway obstruction by a foreign body in an unconscious patient. Removal of the Heimlich manoeuvre from the resuscitation algorithm for unconscious patients with suspected airway obstruction will also simplify training.